Since the beginning of the 21st century, Europe has rarely been associated worth power. Complaints about Europe’s weakness are the rule, especially among those Europeans who too often favor depressive self-reflection over strategic observation, Germany included. Only one hundred years ago, just before World War I, European powers were at their imperial peak – and the US was beginning its rise. Many countries that are now our equal partners were, at that time, targets of European might. More than a century later, a very different Europe must still find its place in a rapidly changing world. 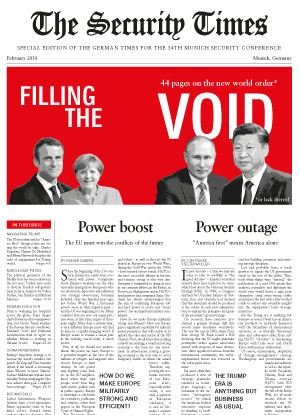 If Europe wants to remain a major pole in the evolving world order, it needs power. First of all, we should not underestimate the power we have; Europe is a powerful magnet in the eyes of the millions of refugees and migrants who choose Europe as their destiny. Its soft power may frighten some leaders in the EU neighborhood when their own people wave blue flags with twelve golden stars in public squares. Europe is sometimes a safe haven for journalists, politicians and citizens, when they appeal to the European Court of Human Rights. The European Union also exerts economic hard power when the European Commission, representing more than 510 million people in a common market with a GDP of $17 trillion, takes a tough stance in negotiations on trade agreements. 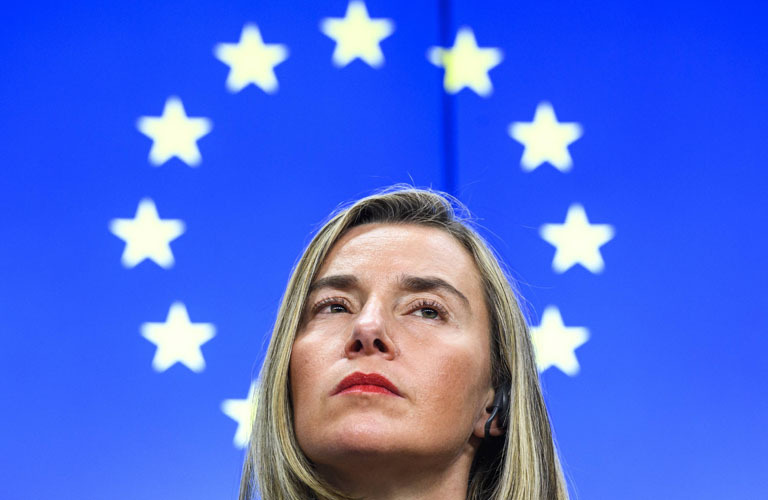 Moreover, Europe matters when the European Union, aligned with other European partners, imposes economic sanctions in reaction to the illegal annexation of Crimea or against the regime in North Korea. Finally, the EU and its member states are also a humanitarian power. They are the biggest donors of humanitarian aid and development assistance, and major financial contributors when it comes to mitigating climate change and funding adaptation projects to support develop- ing countries. Europe in this sense is a pole of its own in a multipolar world – with real but limited power projection capabilities. Yet it is not equidistant from the other poles. It is by far closest to the United States as the source and defender of the liberal world order – even when the United States seems to disassociate itself from that role. Common history and values – as well as the role the US played in Europe in two World Wars, during the Cold War and in the 1990s – have formed robust bonds. NATO is the most successful alliance in history, and remains strong to this very day. Germany is committed to doing its part in our common efforts, in the Baltics, in Kosovo, in Afghanistan and in NATO’s headquarters and command chain. Ger- many has always acknowledged that the aim of combining European soft and hard power to create real “smart power” has an important military component. How do we make Europe militarily strong and efficient? How can Europe gain a significant capability for military power projection that will enable us to uphold the rules and norms of the UN Charter? First, we all know that nothing comes from nothing; a sound and strong economy is the basis for any investment. In democracies, having a growing economy is the best way to avoid budgetary battles in which the armed forces suffer. Therefore, supporting the economic recovery of our European allies, especially in the south, is not only a question of European solidarity; it is also in Ger- many’s security interests. If we were to lose the support of the people of Europe for the European cause, we would only weaken Europe. This is why it is sensible to reach out to President Emmanuel Macron to discuss his ideas on the future of Europe. At the same time we must not repeat the mistakes of the past and base our political planning on the wrong assumptions. World history provides no set path towards perpetual peace, in Immanuel Kant’s sense. If Europe ever wants to be a strategic power, we must look beyond our horizons and plan for a world we do not yet know. It is there- fore neither reckless nor anti-American to imagine a Europe without the United States. Anyone who has ever had a nightmare knows that the thoughts we have are not always the thoughts we wish to have. If a time traveler from 2050 were to assure us today that the US presence in Europe would endure, we would be able to relax. Yet now, in 2018, we cannot. We must strive to keep the US as close as possible, yet be prepared for alternative scenarios. The EU has made significant progress over the past two years. The EU and its member states have become ever more active in their crisis management, especially with regard to Africa, where European smart power can really make a difference. Our humanitarian assistance, civilian crisis prevention and our capacity building for security forces in five Sahel countries and for the Libyan coastguard are cases in point. With the Permanent Structured Co-Operation (PESCO) in European Security and Defense, the Coordinated Annual Review on Defense (CARD) and the European Defense Fund, we have created additional instruments to harmonize our defense efforts. In a truly comprehensive approach we have also improved the EU’s abilities in civilian and military crisis management, in cyber defense and with respect to hybrid threats. Over the course of this process, it has become ever more obvious that it often lies with France and Germany to boost European power, and that they should also play the key role in meeting the technological and innovation challenges presented by the US, China and others. We must take care that Europe remains at the forefront of technological innovation, especially with regard to cyber and Industry 4.0 – including the military domain. A Euro- pean Union capable of winning only the conflicts of the past, but not those of the future, would become vulnerable to political blackmail; it would be powerless. After Brexit, France and Germany will carry the major responsibility for ensuring that this does not happen. Together they will spend more on defense than the other 24 countries participating in the European Security and Defense Policy of the EU combined. It is thus necessary that France and Germany cooperate closely and successfully despite disparate strategic cultures and sometimes even divergent political and geographic priorities and preferences. 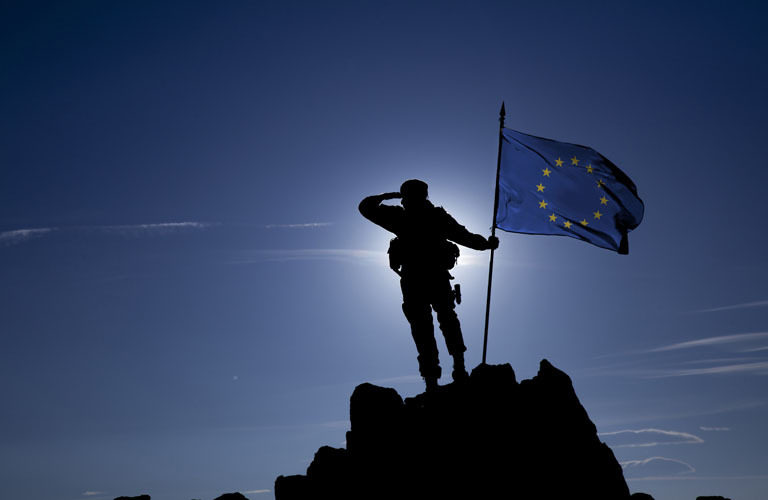 Our common benchmark is always to make Europe more capable, whether with regard to expe- ditionary operations or to collective defense and the development of military capability. Our cooperation is therefore never exclusive. Indeed, we are eager to create plenty of opportunities for our European partners to join our ambitions – for the benefit of the EU and NATO. I am confident that Great Britain, too, will find its new European role. After all, being a strong power is not a goal in itself – and does not solve all our problems. Engaging in a foolish arms race would not automatically result in more security. It could have precisely the opposite effect for Europe. Confidence building measures and the strengthening our nuclear and conventional arms control architecture are thus also atop Germany’s and Europe’s agenda, especially with regard to intermediate-range nuclear forces. Europe has power. But it is the responsibility of European leaders to ensure that this power will remain sufficient to protect the European people, their freedom and ideas, their welfare and prosperity. Only if Europe is and continues to be powerful will it be able to meet its full responsibilities towards an international world order now under stress. SIGMAR GABRIELwas head of the Social Democratic Party from 2009 to March 2017. He was minister of economy and energy from 2013 to January 2017, when he became foreign minister. Since the election in September he has served as acting foreign minister.